This POS Software has been a life-saver for me and I don’t have to hire a computer genius to take care of it. Our POS software includes point of sale, customer tracking, inventory control, invoicing, purchasing, customer loyalty, card processing, superior support and much more. 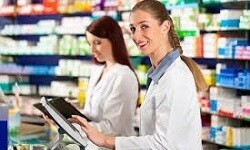 Most POS systems involve complex setups and lots of staff training. Retail Plus removes these barriers with an easy to use system. We back that up with unlimited tech support and live one-on-one tutorials at no extra cost. With 25 years in the field, Retail Plus has evolved into a cutting edge system while ease of use remains a priority. It delivers fast checkouts, accurate inventory control, and up-to-the-minute reports instantly. This leads to bigger profits and more time to focus on growing your business. We will provide award winning POS software that delivers the right mix of simplicity and features at an affordable price. We will give you unlimited setup assistance and personal tutorials until you are satisfied. We will deliver ongoing tech support and program updates to keep you competitive. You can get our POS software up and running in five minutes when you download the easy-to-use installer. A sample inventory is already included so you can try it without any long setups. Call 888-272-4874 with your questions and get hassle free advice and support. Just to make it extra easy we can even install the software for you. Speed up your search for the right POS software right now by getting a free guided tour of Retail Plus POS Software. This is a live one-on-one tutorial via the web with one of our friendly support staff. Go ahead – ask all the questions you want. Call us now to schedule a time. You can set up your own point of sale system and save a bundle of money. It is much easier than you may think, and our excellent support techs are here to help cover every detail until you are completely satisfied. For credit, debit and gift card processing we often recommend Worldpay. Our users love the superior support they get from Worldpay. Call us for more details at 888-272-4874. 1 – Building your own POS system. 2 – POS software price comparison. 3 – How credit card processing really works. 4 – Dealing with suppliers. – Add an extra discount for cash paying customers. – Switch easily between receipts and full invoices. – Simplified setups for POS hardware. – Display the total margin on a transaction. – Support for Zebra and Wasp barcode printers. – Track returned merchandise authorizations. – New card processing options. Exactly what is a point-of-sale system? A Retail Point of Sales system commonly includes a computer, monitor, cash drawer, receipt printer, customer display and a barcode scanner, and the majority of retail POS systems also include a debit/credit card reader. It can also include a weight scale, an integrated credit card processing connection and a customer pin pad device. More and more POS monitors use touch-screen technology for ease of use and a computer is built in to the monitor chassis for what is referred to as an all-in-one unit. All-in-one POS units save valuable counter space for the retailer. The POS system software can typically handle a myriad of customer based functions such as sales, returns, exchanges, layaways, gift cards, customer reward programs, BOGO (buy one get one), quantity discounts and much more. POS software can also allow for functions such as date sensitive promotional sales, foreign currency handling and multiple payment types. The POS unit handles the sales to the consumer but it is only one part of the entire POS system used in a retail business. Other functions of the POS system include inventory control, purchasing, receiving and transferring of products to and from other locations. Other functions of a POS system are to maintain sales information for reporting purposes as well as customer information for receivables management, marketing and specific buying analysis. Many retail POS systems include an accounting interface that “feeds” cash flow and cost of goods information to an accounting package. What are the benefits of computerizing a store? Increased margins due to better inventory management and reduced shrinkage. Increased sales due to prompted suggestion selling, staff performance tracking and targeted marketing. Speed and accuracy in the chores surrounding reports, invoicing, purchase orders and inventory control. Is it best to start with the accounting system and tackle inventory control later? Computerizing the accounting functions will have a very small impact on your profitability but inventory is your number one asset. Managing it well is a key factor to business success. Good inventory control means balancing the expectations of your customers and your bankers, so you have to avoid being either under or over stocked. Some systems offer both inventory control and accounting modules but most successful retailers use completely different systems for each one. This is because software that tries to do it all usually ends up doing some of it badly, and the few that don’t are extremely expensive. If you computerize your inventory control first you will get a much better return on your systems investment. Timely details about sales, inventory, invoicing, margins, orders and customers will help you earn more money than a new accounting system will save. How long does it take to get a point of sale system up and running? The setup phase can be a headache if it is not properly planned and then rushed through. Don’t decide on Saturday that the system has to be installed and fully integrated into the business by Monday. Allow lots of time for you and your staff to get used to a new routine. It would be ideal to run the new system in tandem with the old one for a week or more, but this is a luxury that many stores cannot indulge in. The POS system should start providing useful information about inventory control and customers after a month of full-time use. Is taking inventory more complicated once a POS system is installed? No, it can be done much faster and more accurately if the POS system can read data from a hand-held barcode reader. These units are carried to where the stock is and the counts are scanned or punched in. The information is later transferred to the computer by cable. The computer then pops up a table showing where the shelf counts do not match the computer data and gives you a chance to correct it quickly and easily. What are the advantages of having bar codes on the stock? Barcodes greatly increase the integrity of the point-of-sale transactions. If cash personnel have to enter a stock code for each POS transaction the chances of making mistakes are higher. Good retail management software should print barcode labels in two sizes and can automatically print a label for every item in the last shipment. Since the UPC barcode is industry assigned, you should use another barcode scheme for your own stock such as Code39. There is no problem associated with having UPC and Code39 labels in the same store because barcode scanners can auto-recognise which type of label they are reading. What reports should we look for in a good system? There should be a dozen to choose from, though most retailers use only three of four on a regular basis. Which ones you use will depend on the nature and style of your business. Better systems can limit the scope of a report to a given department, supplier, stock code range, etc. Does entering a customer name and address take too long and annoy the customer? It might, and it is important to be very sensitive to a customer’s reluctance. However, this information is so valuable that not trying to gather it may be a mistake. Experience shows that it costs a lot more to get a new customer into your store than getting an old one back. This kind of marketing has proven to be the most cost-effective way to drive up sales. Better software systems allow for a variety of customer data and mailing capabilities which can identify customers by last purchase date, birthday, purchase history, customer type and salesperson. This is powerful information for the retailer because it gives us the ability to target promotions where they count, measure advertising results, purge inactive names from mailing lists and do follow-up phone calls. Once people are in the system they do not have to be re-entered, but can be called up by name, phone number, company or customer number. A good system will also give you the option to avoid re-typing the city, state and zip code for every new customer. Can I be a Retail Plus Point of Sale Dealer? Yes, please contact us and visit our dealer page for more information.